It's been more than 40 years since a local hiker was killed, and the case remains unsolved. Authorities said Shari Lynn Roth, 22, left her North Conway home alone on Sunday, Aug. 21, 1977, to go hiking on the Sawyer Brook Trail in Livermore. Roth did not return home and was reported missing by her friends that evening. Her body was found on Aug. 24, 1977, off Route 302 near Sawyer Pond, according to her family. An autopsy determined that Roth had been strangled to death. 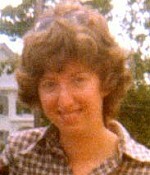 Roth had moved to North Conway after graduating from Syracuse University. She also attended the University of Massachusetts - Amherst. Family members said she became very active in working with the elderly community, battered women and troubled teens. Roth's family has offered a $25,000 reward in this case.